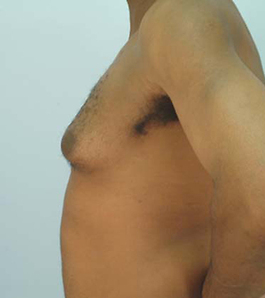 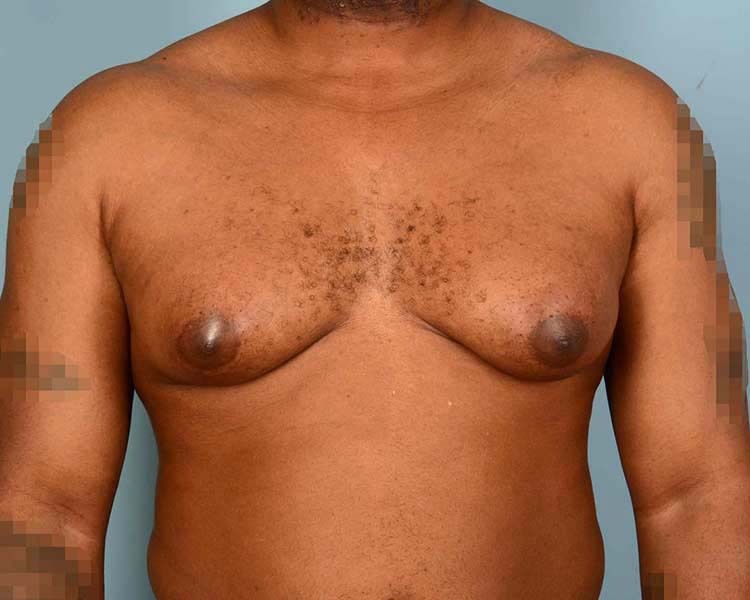 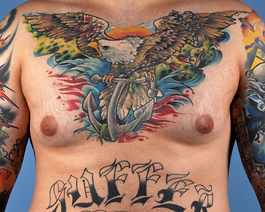 This 36-year-old gentleman from Virginia Beach was bothered by breast enlargement since his early teenage years. 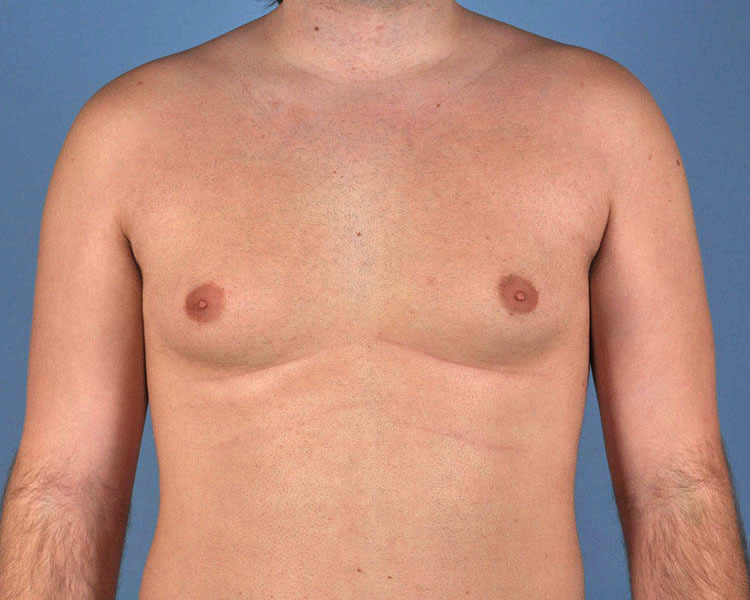 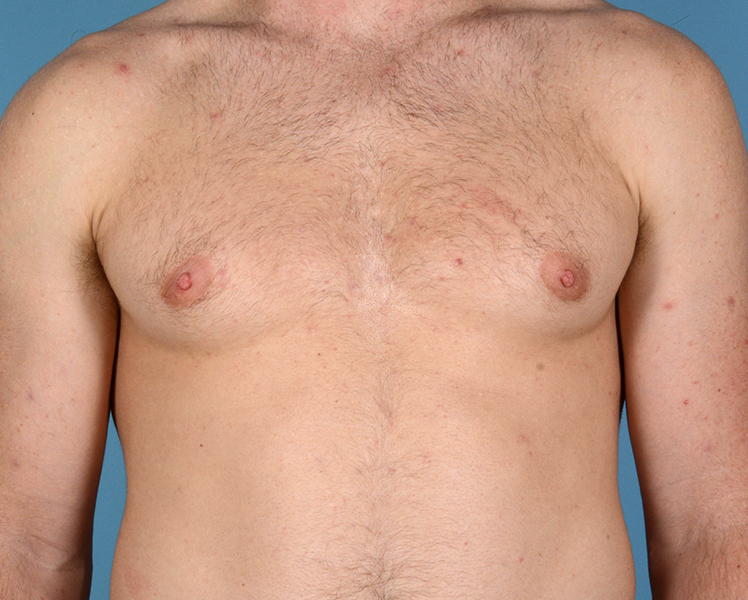 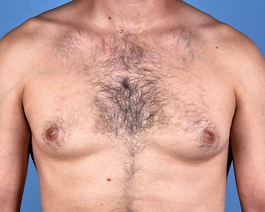 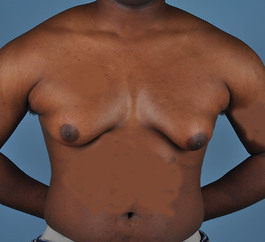 He came to see me for discussion of male breast reduction, otherwise known as, gynecomastia surgery. 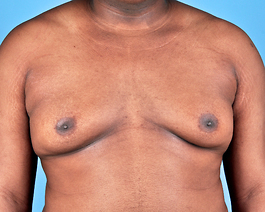 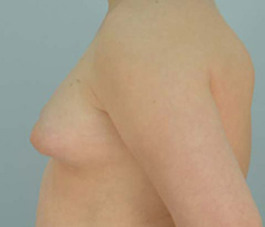 After a thorough discussion, we decided that his best result would be a combination of both liposuction and removal of breast tissue. 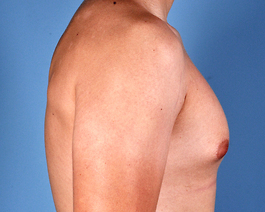 Through this means, he was able to obtain an extremely natural, symmetric contour that he is very happy with. 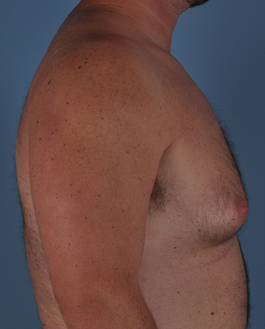 As his "After" photos were taken only 4 months after surgery, the scars will continue to fade with time.